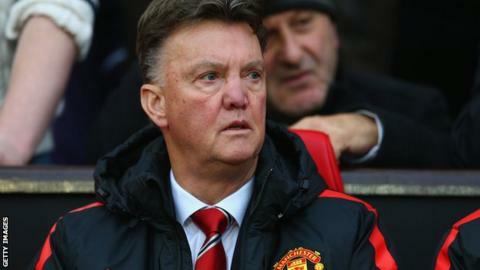 Manchester United manager Louis van Gaal is 'unhappy' with the number of fixtures played in the festive period. United could play four matches in nine days between Boxing Day and 3 January, depending on the FA Cup draw. Their itinerary in the Premier League sees them host Newcastle on Boxing Day, away at Tottenham two days later before travelling to Stoke on New Year's Day. "I have a wife, kids and grandchildren, and I cannot see them at Christmas," said Van Gaal, 63. "But I want to work in the Premier League, so I have to adapt, and I shall adapt," he added. "I am not happy - but I cannot change it - I don't think it is good for the players." Van Gaal's team are fourth in the league following a 3-0 victory over Hull on Saturday, in what the Dutchman described as their most accomplished performance of the season. Despite the busy festive period, the veteran former Ajax, Barcelona, Bayern Munich and Netherlands coach still believes that United would benefit from being involved in European competition. "You cannot say Chelsea are not used to playing in the Champions League and the Premier League, and League Cup and FA Cup," he said. "When you are challenged during the whole season you become better."